Anica Kochhar is the founder at Phenotype Architecture Studio, the wizard responsible for the interiors at some of the coolest modern-dining establishments in New Delhi like Ping’s Cafe Orient, Jamun, Depot 29 to name a few, and also dabbles in product design (her most recent collection a line of outdoor furniture called the Martian Family) for her digital store Boderline.Studio. 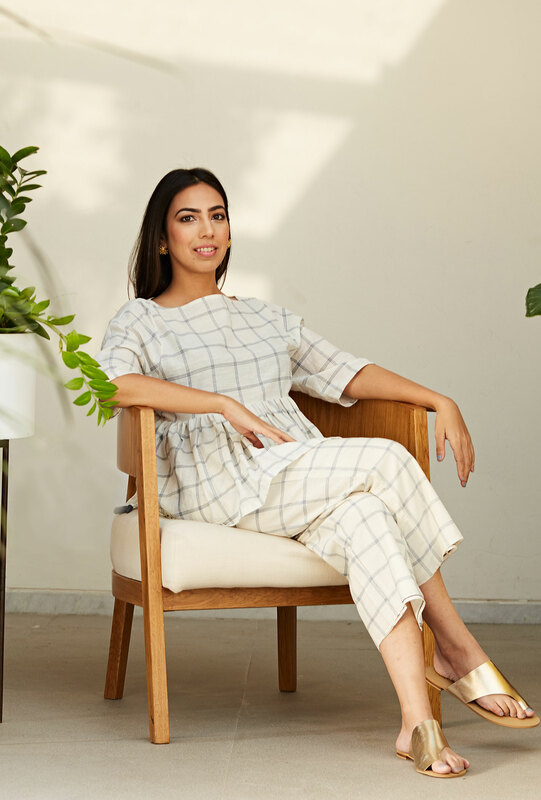 We met her on a sunny day at our Caara at Ogaan cafe at the Malcha Marg store to sample the fresh Summer menu and discuss design, fashion and how they all interconnect for her. Q How does your interest in design affect other parts of your life? Anica: It’s actually the other way round for me. My life has always directly influenced my aesthetic in design. When I was in my experimental phase and figuring out who I was, my design was bold, edgy and disruptive. Now being a mother of two girls, I seek calm in my life. This has affected the way I dress, the way I live and also what I create. Q: What's keeping you excited at work right now? Anica: I'm currently working on an eight room homestay in Ladakh, giving each room a distinct character with the views still being the main focus. We’re working with an indigenous method of construction using mud bricks, double layered walls and a structure made of Willow and Sal trees. This will allow us to erect a home that can gracefully survive the harsh conditions in Leh. Q: You work on such diverse projects, do you think there’s an element that’s signature to your style and tangible in each project? Anica: I like my design to be evocative, and not just tactile. Each space should make you feel something. That's what I love about architecture. With each new project, I get to tap into a different creative story. But, if I were to pick something that's common in all my projects - it's my use of mirrors. I'm fascinated with reflective surfaces that can create an illusion of space and form mirages. Q: What’s your idea of dressing up? 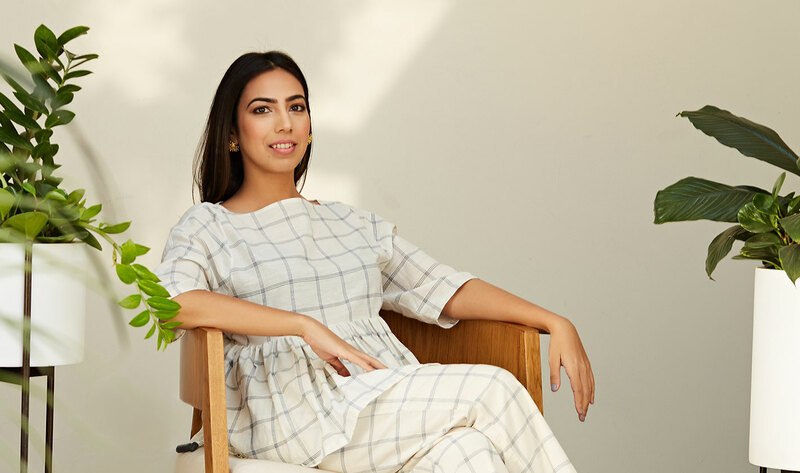 Anica: My wardrobe is of late teeming with natural materials, handloom, geometry, structured shapes and in general I’m enjoying a better appreciation of Indian minimalism. Some designers who I love are Bodice, Abraham & Thakore, Rajesh Pratap Singh and Payal Khandwala. Q: What was your favourite look from today? 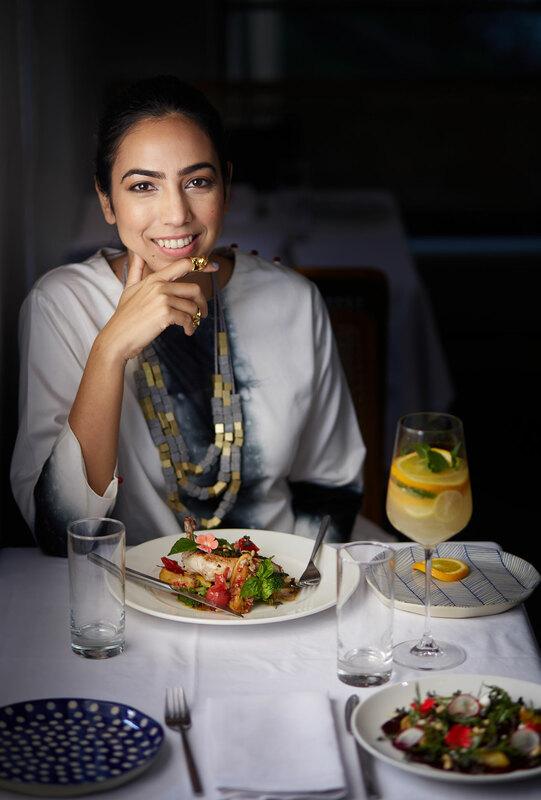 Anica: I loved pairing that Abraham & Thakore sari with a Payal Khandwala shirt. I wouldn’t ever wear a sari just as a traditional sari. I always juxtapose it with a crop-top or shirt. The structured shirt really lends itself to the sari and makes the look more sharp.